As I child, learning the cryptic definitions of terms like estuary, bay, inlet, creek and cove in geography always made me wonder if such phenomena really exist in nature and if yes, how they would actually look. Many an hour would be spent trying to visualize these ‘water bodies’. 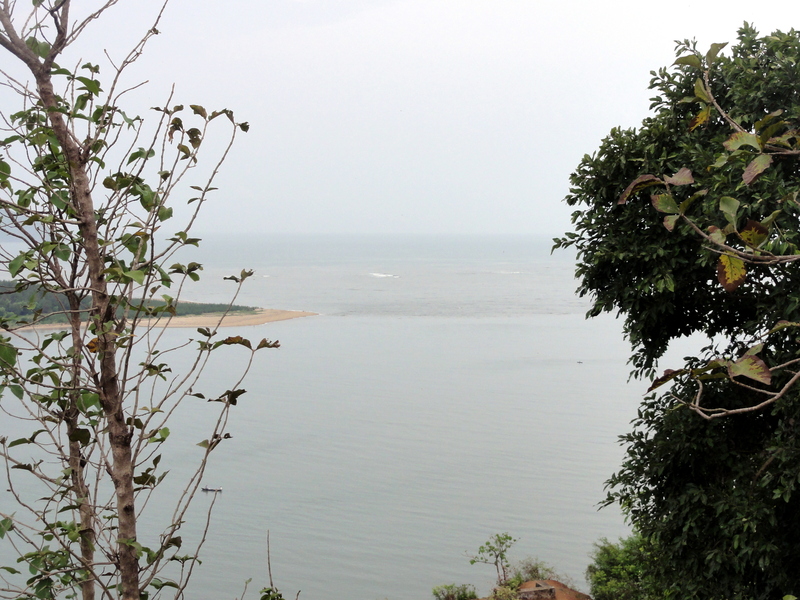 Therefore, my joy knew no bounds when I visited the ‘estuary point’ on our visit to Karwar. This is a point that can be visualized from Sadashivgad fort in Karwar. Located on the northern bank of the Kali river, the fort also houses a temple of Goddess Durga whose history can be traced to Chatrapati Shivaji. The river Kali which is a life line for over lakhs of people in the Uttara Kannada district flowing into the Arabian sea can be seen atop the fort. The gentle river waters merging into the choppy and slightly rough waters of the sea and changing color is a spectacular sight and one of nature’s innumerable wonders. The Kali river bridge that connects Karnataka with Goa is built over this confluence. Yet another place where I witnessed the confluence of the river with its ultimate destination, the sea was the Kodi Bengare beach in Udupi. A relatively unknown spot, this beach is about 10 km from the more popular Malpe beach. It is here that the river Suvarna merges into the Arabian Sea. While not watching this magnificent spectacle, the beach is a great place to pick shells and crab. One can witness a great amount of fishing activity here. Laced with greenery all around, this palm fringed beach offers stunning views of the Arabian sea and is a great idea to spend time in the evening gazing as the sun goes down. Do you know of other places where you can view the estuary? I’d love to know.